Calculation of steel, partially encased, composite, or integrated beams (SFB, IFB type A and B) in cold and fire conditions. The software complies with Eurocodes 3 and 4 and the current state-of-the-art regarding the calculation of integrated beams. 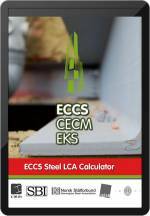 ArcelorMittal-CTICM Columns Calculator A3C Calculation of steel and composite columns (partially or totally encased with concrete) in cold and fire conditions. The software fully complies with EN version of Eurocode. Predesign of Large Span Trusses in conformity with the European rules for steel structures (EN 1993-1-1:2005). - Optimisation: from basic data supplied by the user (main geometry, lateral restraints and loadings), the software estimates the dimensions of the cross-section of elements of the structure. To check the LTB behaviour of composite and/or partially encased beams during erection (Lateral Torsional Buckling during Construction). ArcelorMittal Composite Slim-Floor Beams CoSFB: Calculation of composite integrated beams (SFB) in cold condition. The software fully complies with "Zulassung-CoSFB-Betondübel z-26.4-59". Predesign of steel or composite cellular beams with circular openings in cold and fire conditions. Predesign of steel and composite castellated beams with sinusoidal openings in normal and fire situation. Predesign of castellated beams with circular openings in cold and fire conditions. Calculation of steel and composite columns (partially or totally encased with concrete) in cold and fire conditions. The software fully complies with EN version of Eurocode. This software designs composite floor slabs at elevated temperatures by taking into account the enhancing effects of the membrane action in slab. MACS+ also checks perimeter beams and provides a critical temperature for each of them. Gas temperature in the event of fire according to EN 1991-1-2 and corresponding steel temperature according to EN 1993-1-2. “LUCA” is software accompanying a design guide for industrial halls in fire conditions. This tool calculates displacements and additional horizontal forces that appear in industrial halls during fire enabling the engineers to consider their effect in the design in order to avoid collapse or risk of human life. Software was developed within RFCS project RFS2-CR-2007-00032. The purpose of AMECO software is to assess the life cycle of composite structures of buildings or bridges, evaluating the environmental footprint, in particular the associated energy consumption and greenhouse gas emissions. Ameco 3 is an extension of Ameco (version 2), which proposes to take into account the use phase of the building. It allows the estimation of energy needs for a variety of the building systems (heating, cooling…). Their calculation is based on several international norms such as ISO-13370, ISO-13789 and ISO-13790 as well as on European norm (EN 15316). The extension of the use phase is only available for buildings. Ameco 3 is available in 16 European languages. Predesign software of composite bridges for road, railway and pedestrians. ArcelorMittal Connection Programme ACoP: Connection design according ENV 1993. ArcelorMittal COnnection Program 2 Design of Composite beam-to-column Joints according to Eurocodes EN 1993-1-8 and EN 1994-1-1. Verification of INERD constructive system in steel that can be applied to reinforce concrete frame structure. Software ACE provides quick prices and weight estimations of steel framed buildings based on I-profiles. The tool covers single-storey industrial buildings, and multi-storey commercial and residential buildings. The options in the software for designing the floor systems allow cost comparisons of various solutions. ACE is available in English, French, Dutch and Polish languages. LCA is perfomed according to ISO standards 14040:2006 and 14044:2006. Moreover, the analysis is performed taking into account the modular concept of European standard EN15804:2012. According to this set of standards, the evaluation comprehends four main steps.The application provides two additional optional steps: normalization and weighting. These two steps are considered to be optional in ISO standards, although they have a relevant role in a decision making process. Thus, the complete flowchart for the environmental life cycle analysis is represented in the scheme below. The application enables three different scopes for the LCA: Option (i): a cradle-to-gate analysis (Module A according to EN15804:2012); Option (ii): a cradle-to-gate analysis plus end-of-life recycling (Modules A and D according to EN15804:2012); and Option (iii): a cradle-to-grave analysis plus end-of-life recycling (Modules A to D according to EN15804:2012). In option (i): the user can select a coating system for the profile from a list of available products; In option (ii): in addition the user can select a recycling rate and a reuse rate for steel and the corresponding transportation system; And in option (iii): in addition, the user may select a transportation system for steel (from the gate of the factory to the construction site) and a maintenance strategy for the profile taking into account the lifespan of the analysis. The results of the LCA are obtained in the results section. A detailed calculation report is automatically generated that can be sent by e-mail. Finally, in the configuration options, the user may select the default type of analysis as well as the desired outputs.